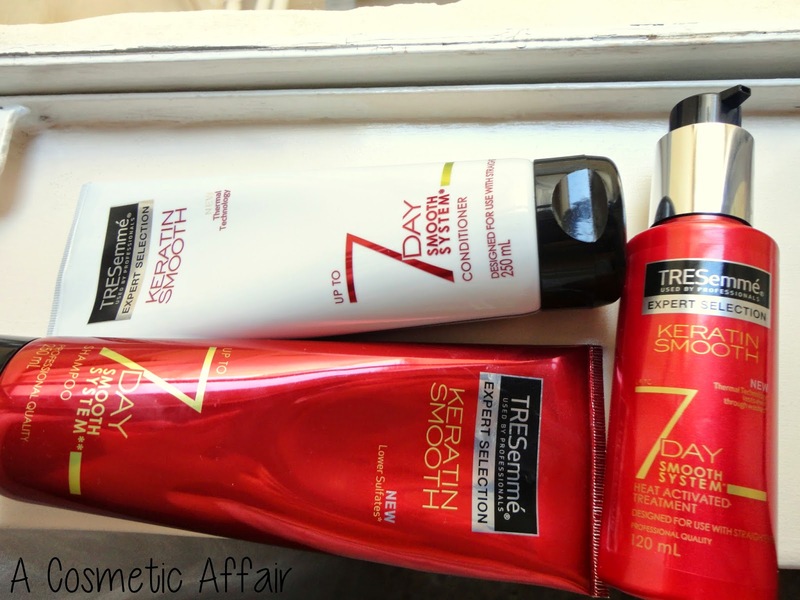 For the past month I have been trying out the new TRESemmé 7-Day Keratin Smooth Range, which consists of the 7-Day Keratin Smooth Shampoo, the 7-Day Keratin Smooth Conditioner and the 7-Day Heat Activated Treatment. As the name suggest this trio of products is supposed to make your hair less frizzy and more manageable for you to style. The claim that TRESemmé are making is that you can get salon-smooth hair that lasts for up to 4 washes. I decided to test out these products thoroughly before writing anything about them and I have been using only them for about a month now. For you to know, I have an oily scalp, dry ends and somewhat wavy hair that tends to get frizzy more than anything. You start off by using the 7-Day Keratin Smooth Shampoo, which is also lower in sulfates and then follow up with the 7-Day Keratin Smooth Conditioner, which is designed to use with straighteners. After rinsing off the product and towel drying your hair, you are supposed to use up to 8 pumps of the 7-Day Heat Activated Treatment. Since I have medium length hair which is fine and easily weighed down, I only used about 4 pumps making sure to distribute the product mostly to the ends of my hair and what was left all over the rest of the hair. Both the 7-Day Keratin Smooth Conditioner and the Heat Treatment have a similar scent, which is sweet and very pleasant. The 7-Day Smooth System Heat Activated Treatment is also designed to be used with straighteners and the smoothing properties are heat activated. After working in the product and combing it through my hair, I blow dried my hair and straightened it. After the first time using the TRESemmé 7-Day Keratin Smooth Range, you are supposed to wash your hair with the 7-Day Keratin Smooth Shampoo and Conditioner and reapply the Heat Activated Treatment only after around 4 washes. I usually wash my hair day in, day out, so I did not re-use the Treatment until about a week had gone by. Although I would say that my hair still needed the straightener to be totally smooth I feel that the combination of these products helped in the smoothness of the hair. I had less frizz in my hair and it was easier to pass the straightener over it. Moreover I feel that the TRESemmé 7-Day Keratin Smooth Range did not weigh down my hair and did not cause any extra oiliness, which is important to me. I have now used the 7-Day Heat Activated Treatment about 3 times and I find that whenever I apply it my hair looks smoother (no fly away hairs), shinier and healthier. Even though, I might switch out the shampoo from time to time, since I like to use a purifying one from time to time, I will still be enjoying the 7-Day Keratin Smooth Conditioner when I do. I found it to be light, does not weigh down my hair and smells great. 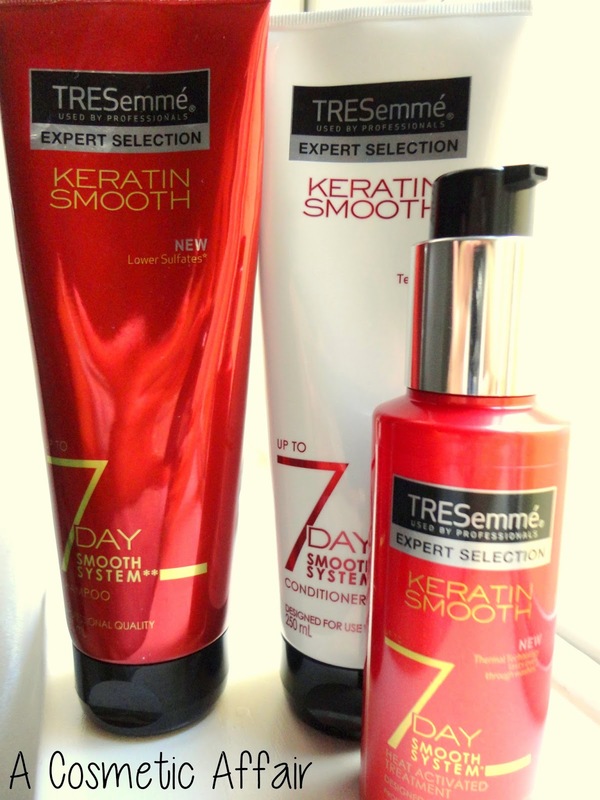 In case any of you are interested in the TRESemmé 7-Day Keratin Smooth Range you can look up the TRESemmé Facebook Page. The recommended price for the products is as follows; TRESemmé 7-Day Smooth Shampoo and Conditioner €6.75, each, and the TRESemmé 7-Day Heat Activated Treatment €12.28. Keep an eye out for them in stores as I have seen them on the shelves and let me know what you think. Disclaimer: This blog post is not sponsored. 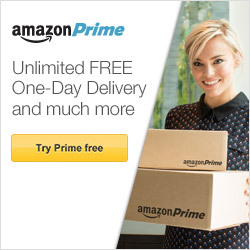 The products were provided as PR Samples. All opinions are my own. Hello buddy! I have an oily scalp, even I wash my hair regularly but still it looks very oily. 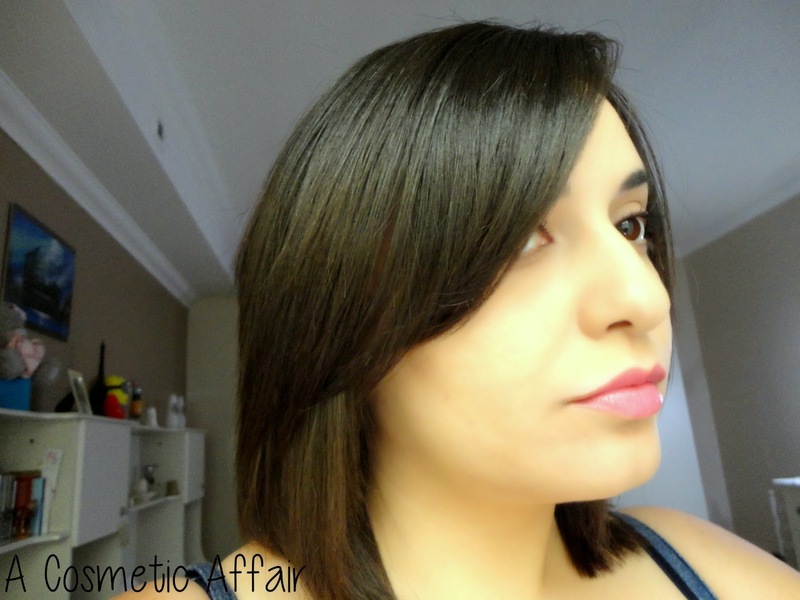 According to you which Keratin Smooth shampoo or Conditioner is best for my damaged hair? Is there anybody who have heard about keratin complex shampoo?